Hello! Today I wore an outfit that encompassed all of my favorite things- leopard print, heels, a skull print and heart sunglasses. 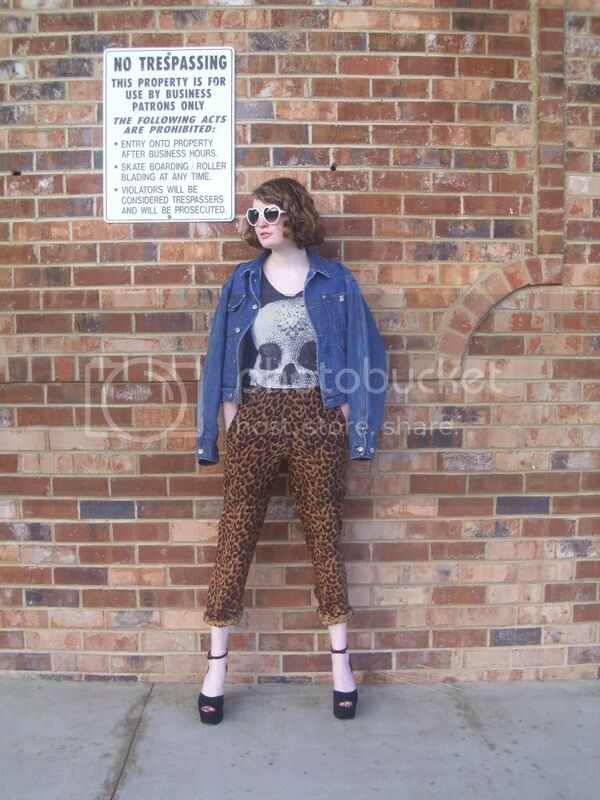 I styled this outfit around these "look at me" leopard print pants. As I have mentioned before, these pants have an instant wow factor- there is pretty much no way to miss seeing them. I wanted to wear them differently than I usually do so I rolled the pant legs up a few inches. Perfect for showing off my shoes! To give the pants an edgy vibe, I added a skull print tank top along with an over-sized denim jacket. I topped my jacket off with a tiny American flag pin. 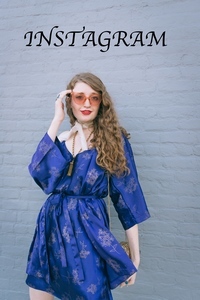 My sky-high Jeffrey Campbell's and heart sunglasses added the last touch to this look. The quirkiness (and cuteness!) of heart sunglasses draws me back to them time and time again. 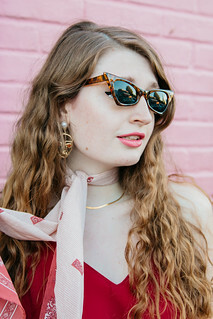 You can purchase these heart sunglasses for just $16 HERE at Giant Vintage Sunglasses. Diggin the pants and shoes. Awesome style and look girl, keep it up! 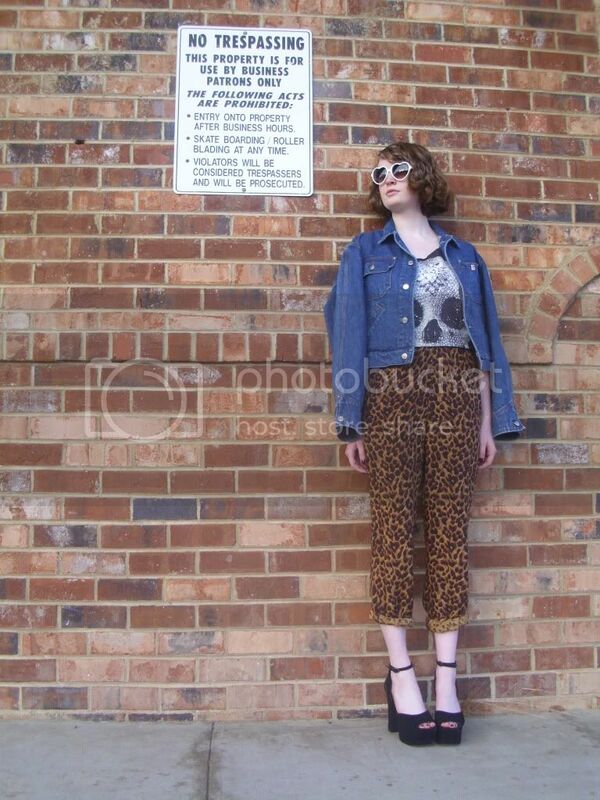 Those leopard pants are killer and I really love your shoes. Great outfit! amazing combo! 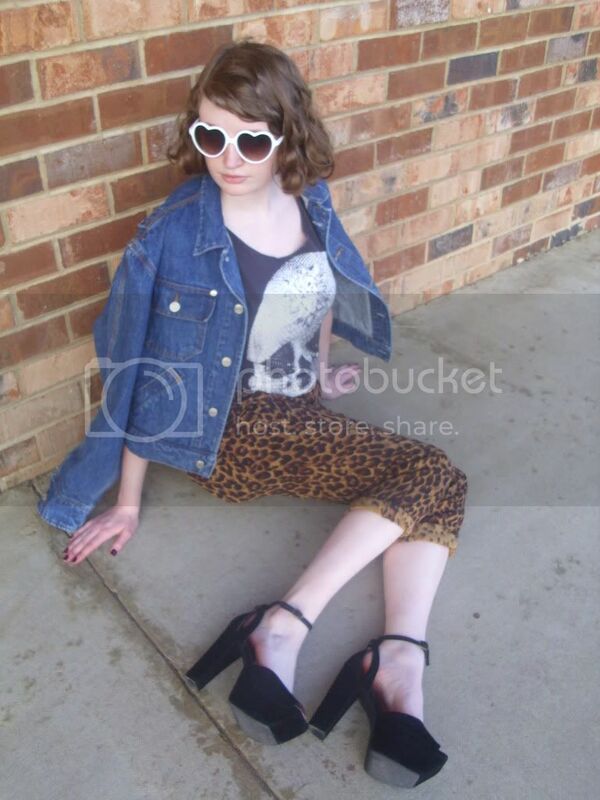 from the denim outer to the leopard pants! wow this outfit is awesome! love it! you look so stylish! 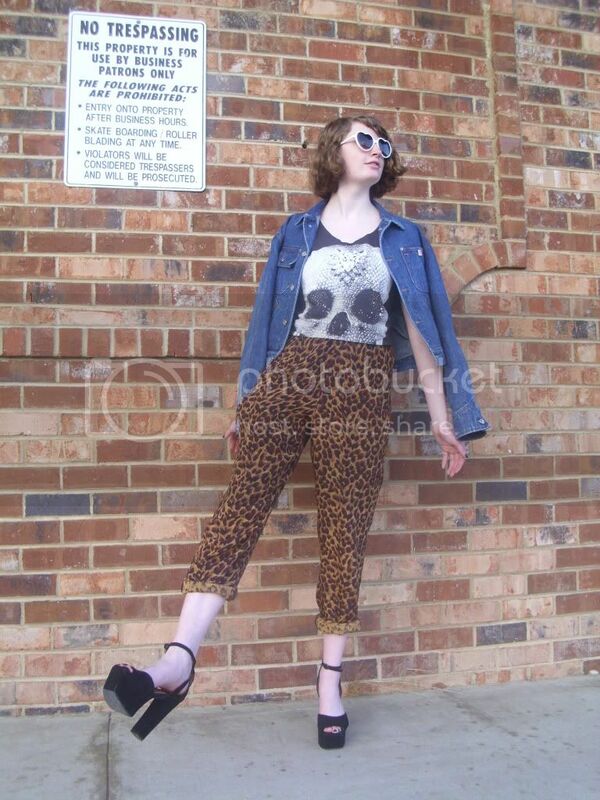 this is rock chick style;) love your leoprint pants and the skull tee! Great way to rock leopard trousers! I love wearing all of my favorite items together :) You look cute! Loveee this look! leopard prints are so great!! Tori, I'm not sure which I love more: the leopard pants, skull top, or high heels! Great style you've got. Those pants are amazing. I have such a weakness for animal prints! Those pants are actually gorgeous! Love them! 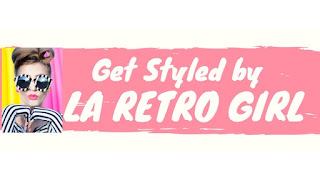 love the vintage feeling! those shoes, awesome! Love your outfit, those pants are so cool!